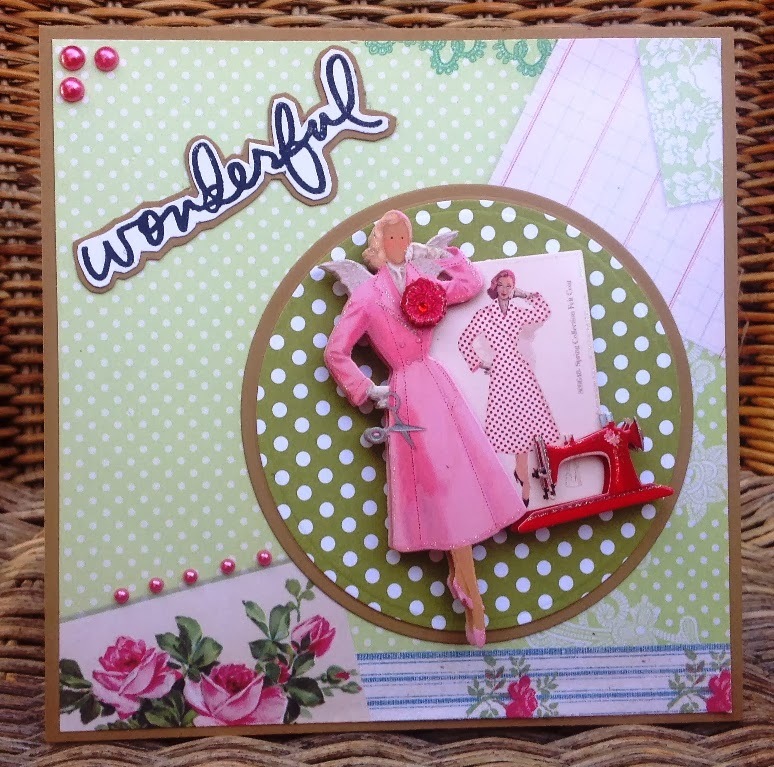 Aud Sentiments Challenge Blog: Challenge 100 - BINGO! Congratulations to all of you and don't forget to take your badges! For this challenge we are so excited to have Add A Little Dazzle as our sponsor. Thanks so much! 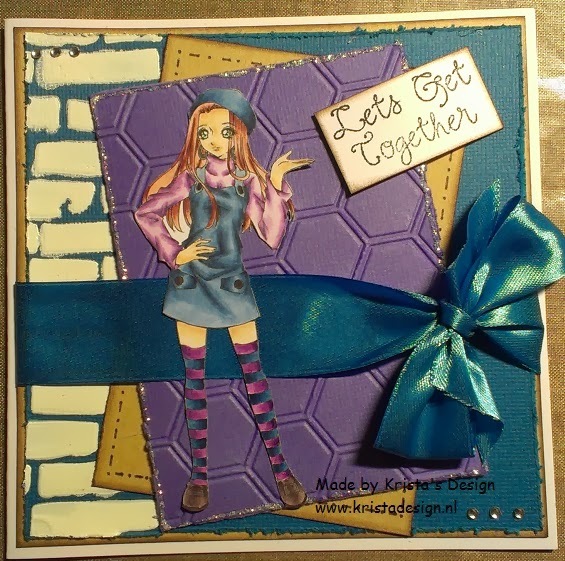 Take your crafting to the next level with Add a Little Dazzle! 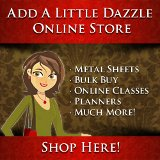 We are a premiere online craft store and resource that specializes in teaching you how to use and incorporate our line of Craft Metal Sheets into all our crafting projects. We have 18 beautiful craft metal sheet colors to choose from. Visit us today at www.addalittledazzle.com and learn how to take the ordinary and make it into the EXTRAordinary. So, for instance, I might choose the horizontal middle line so I would need to ensure I include a One Word Sentiment, 3D items and Die Cuts. Using middle horizontal line - one word sentiment (!!! ), die-cuts to make a 3D shape. These are now proudly in place on top of my fridge! 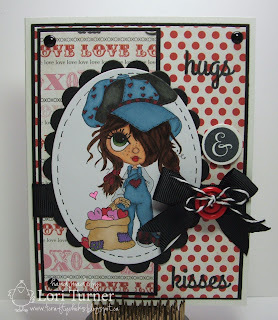 Thanks so much for choosing my card as a Top 5! So excited! Congrats to all the other winners as well - WTG! 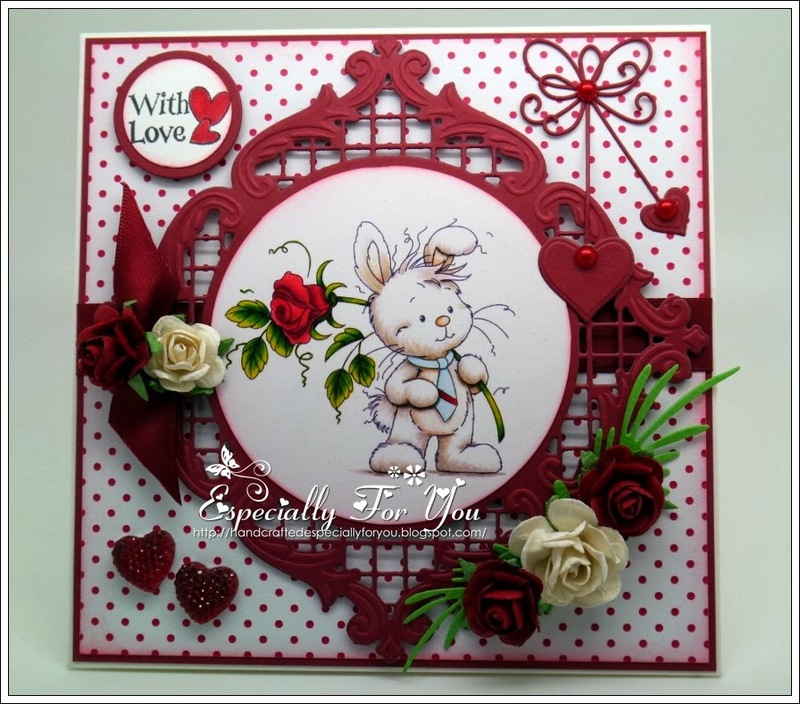 Thank you for choosing my HM love card as a Top 3 chuffed to bits..great DT creations looking forward to playing..congrats to all the winners. Challenge 99 - Loving Inspiration!